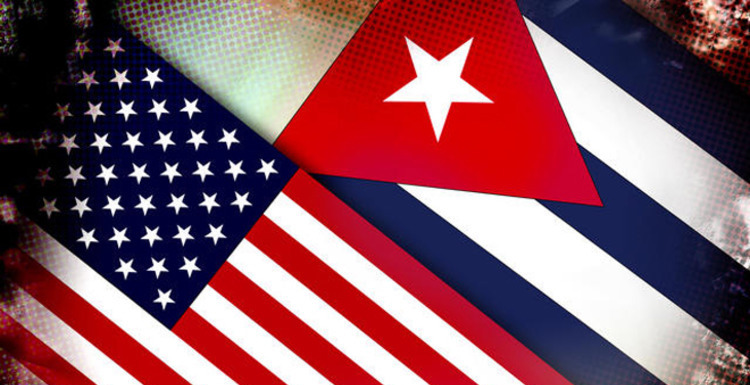 The winds of change are beginning to shift in the direction of those who favor a normalization of relations between Cuba and the United States. These include recent revelations from a sugar baron and a former governor, both of whom were once bitter foes of the Castro brothers. The movement towards reconciliation between Havana and Washington was given a significant boost from an unexpected source last month. On that occasion, Alfonso Fanjul, one of the most influential and steadfast supporters of Florida’s anti-revolutionary community, announced he had been to Cuba twice in the past several years and was contemplating the possibility of future investments in his former homeland, “under the right circumstances.”  He spoke extensively of ending the differences between the two nations in order to “reunite the Cuban family.”  Fanjul fled Cuba as a young man, leaving behind his family’s mansion (now Cuba’s Museum of Decorative Arts) and their lucrative sugar cane operations. Re-locating in South Florida, the Fanjuls soon re-established their sugar empire and now are among the wealthiest families in the state. The holdings of the parent company Fanjul Corp. include Domino Sugar, Florida Crystals, La Romana International Airport, and the luxury private resort known as Casa de Campo. During his recent visits to Cuba, Fanjul toured Havana, visited his old mansion and was able to tour state-run farms and sugar mills after meeting with Cuban agricultural officials and the country’s foreign minister. A long-time opponent of Castro, Fanjul more habitually keeps a low public profile while maintaining financial and political sway in support of Washington’s right-wing initiatives against Cuba through heavy donations to the Cuban-American members of congress , who for years have been the face of America’s policy of of regime change. Connected to many high ranking politicians – Fanjul informed good friend Hillary Clinton of his change of view regarding Cuba — his political hand was most noticeable and muddled when he and younger brother Jose were able to guide through controversial provisions of the Helms-Burton Act in 1996, which helped to tighten the Anti-Castro embargo by penalizing anyone ‘trafficking’ in properties nationalized by the revolutionary government. Alfonso’s announcement that he had met with Cuban officials in April 2012 and February 2013 smacked the hard-right Cuban American community with the force of a hurricane. Florida Republican Congresswoman Ileana Ros-Lehtinen blew off a considerable amount of steam in attacking Fanjul’s newly found position. “Talked about #Fanjul’s pathetic idea of investing in the #Castro regime while #Cubans suffer,” she posted on twitter immediately after. South Florida Republican Rep. Mario Diaz-Balart was just as caustic, commenting, “I am outraged by reports that a fellow Cuban-American, who has witnessed the atrocities inflicted by the Castro regime, has apparently chosen short-term profit over standing with the Cuban people.”  In contrast, fellow Florida Representative Joe Garcia, a moderate Democrat and the son of Cuban exiles, said Fanjul was coming to terms with an emerging movement within the Cuban-American community that favors engagement with Havana – a reality reflected in a recent Atlantic Council national poll. Fanjul’s about face represents yet another example of the shift in the complex relationship between Cuba and the United States, where pragmatism is replacing long, outmoded-ideological intransigence. State officials were able to discuss the economic and political reforms taking place on the island with the 76-year-old Fanjul, placing aside the inflammatory anti-capitalist rhetoric previously used against his family’s pre-revolutionary sugar operations. Moreover, it demonstrated the continued maturing of Cuban society, where new leaders will soon take over from the Castros and the rest of the first-generation revolutionary hardliners. Fanjul established his ability to put the past behind him by not insisting upon discussing return of confiscated property, instead accepting the reality of Cuba’s social/economic system that has been in place for more than half a century, and to rationally consider working within such confines for both sides’ mutual future benefit. Deliberation for the ending of sugar subsides in the United States  (which Fanjul exerted considerable political pressure to block) may have had a partial role in his decision to contemplate exploring future investment in Cuba, as much as his desire to reconcile Cuban realities on both shores of the Florida Straits. Fanjul’s declaration was the first in a number of blows against those striving to maintain the hostile status-quo. Shortly after the sugar baron’s pronouncements, former Florida Governor Charlie Crist came out against the embargo, a position he very much opposed while in office under the Republican banner. Since his switch to the Democratic party in 2012, Crist apparently is now able to recognize the economic short-sightedness of America’s hostility, commenting on the subject during his campaign to re-take the governor’s office from Republican Rick Scott. While Crist’s traditional use of the tired expressions demanding ‘freedom’ and ‘democracy’ under US terms, his volte-face discloses a level of economic pragmatism that finds kinship with Fanjul’s revealed position, and increasingly is becoming the dominant perspective within the Cuban-American community. Cuba’s economic reforms of the past few years, the realization that a Castro is not expected to be in a leadership role after 2018 as Raul plans to step down, and the ending of travel restrictions for Cuban-Americans to return to their homeland and for Cubans to travel off the island, is having an impact in south Florida. The current generation of Cuban-Americans are becoming increasingly intolerant against the hard-liners who want to maintain the embargo and policy of regime change. Those who favor normalization desire to be involved in the changes taking place in Cuba, to maintain and augment their ability to travel to their former homeland whenever they want, and to assist friends and family. As they see their Cuban-American congressmen now in the majority, and continue to spout out-of-date rhetoric in favor of a harsh status quo, the new generation is rapidly become politically active in order to vote for those who more closely reflect their views. When a well-respected figure such as Fanjul publicly declares his inclination towards engagement with the revolutionary government and reconciliation with all Cubans, it carries a tremendous amount of political weight among those moderates, and even soft anti-Castroites, to join the side favoring normalization. Just as significant, Fanjul’s financial muscle when it comes to campaign donations could easily be utilized to either convince the current crop of Cuban-American congressmen to start altering their stance, or to assist a new breed of politician who support a majority who seek a dramatic change in US policy. It is a vitally important development that has weakened the foundation of the pro-embargo side dramatically. Former Florida governor Charlie Crist’s newfound declarations of support, along with like-minded steps from Tampa congresswoman Kathy Castor, simply add credence to the movement towards normalization that is rapidly gaining energy. “One day we hope that the United States and Cuba would find a way so the whole Cuban community could be able to live and work together,”  Fanjul declared. He holds the ability to back up his expectation with political power and financial persuasion, which is providing inspiration for all who favor an end of America’s half-century of hostility against Cuba, and is dealing a heavy blow to those struggling against these winds of change. Keith Bolender, Guest Scholar at the Council on Hemispheric Affairs. Wallsten, Peter, Manuel Roig-Franzia and Tom Hamburger. “Sugar tycoon Alfonso Fanjul now open to investing in Cuba under ‘right circumstances,’” The Washington Post, February 2. Bolender, Keith. Voices From the Other Side: An Oral History of Terrorism Against Cuba, Pluto Press: London 2010.